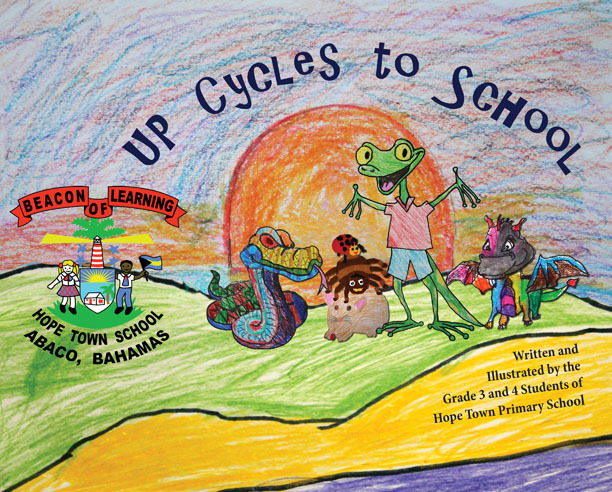 “Up Cycles to School” Book launch, written and illustrated by the Grade 3 and 4 Students of Hope Town Primary School – Thursday, April 17th, 2014, 5:30pm-7:30pm at the Hope Town Harbour Lodge. The book launch kicks off a Wine & Cheese benefit event for Hope Town Primary School’s PTA. This book, part of the arts programme at school, attests to the strength of combined efforts and the creative power of art as a teaching tool. 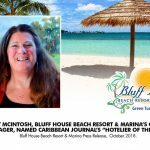 It showcases the creative writing, drawing and painting skills of these talented students. “Up Cycles to School” is a must read; a wonderful and imaginative tale woven together using the students’ actual words, invented characters and their adventures. The students also created all of the wonderful imagery that flowed from imagination through to illustration. Sales will benefit Hope Town Primary School’s art and sports programmes.